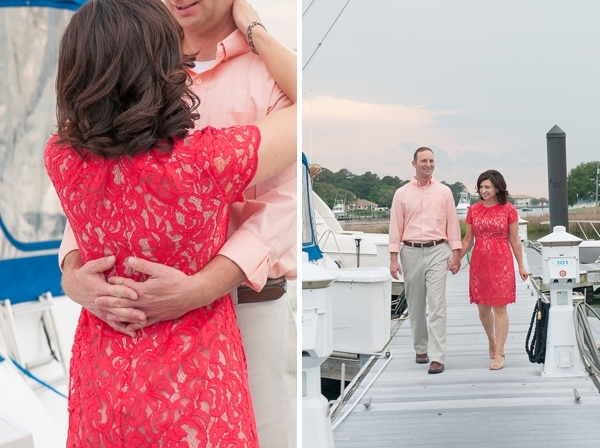 Just in time for the 4th of July, this Virginia Beach engagement session from Shine with Jennifer Leigh Photography embodies all things patriotic chic! 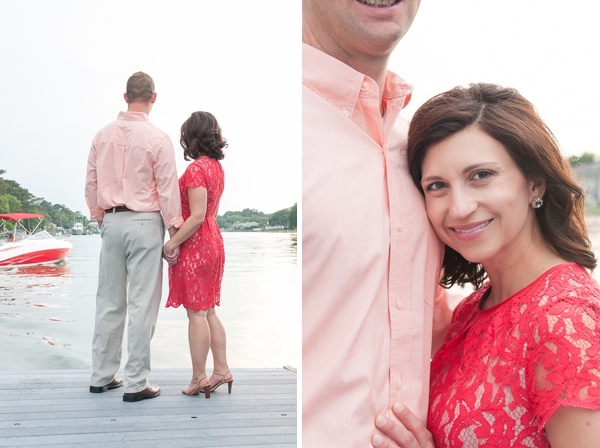 Joy and Rich have known one another for many years as they were co-workers at a medical clinic. This will be their second marriage, and when they both entered the single life again, their mutual enjoyment of sports brought them together. And Rich used that mutual love to his advantage when planning his secret proposal during a family ski trip to Wintergreen. With their blended family of four children, it was a sweet vacation turned engagement. 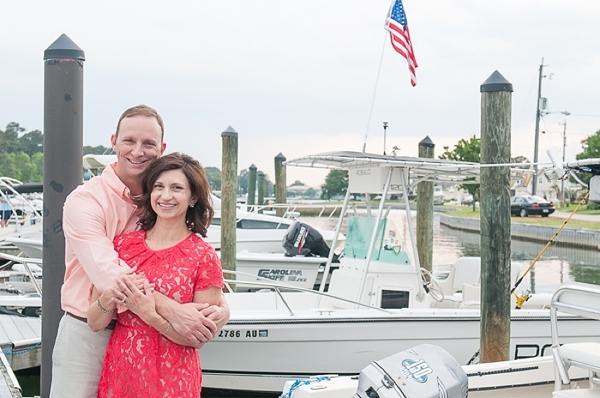 Since they are often there to dine at their favorite restaurant, One Fish Two Fish, this lovely couple wanted to have a nautical engagement session at Long Bay Pointe Marina surrounded by elements that make them happy. Rich is retiring from the Navy just days before their red, white, and blue-dappled wedding this month, we want to wish them double congratulations on the exciting new chapters ahead!